I have trouble in cars. The nine wrecks I had in one year as I tooled around Houston qualifies me as a road disaster. Sarah, my haphazard angel (in the book series), causes trouble in vehicles. She has accidents in red high heels too. She often tumbles into someone, knocks them down and falls on top of them. Not all car disasters have been my fault. Houston has other crazy, inept drivers besides me. These days, I drive a red car. In fact, my last two cars have been red. If another one is in my future, it will be red too. Why? Not because the color attracts the police, but because others can easily see me. I have no desire to own a gray color. Steely colors blend with the road. If you can’t see me coming, you can’t get out of the way. However, speeding in a red car does gain a patrolman’s attention. I once was going about 95 on Texas Highway 6, speeding to meet a friend for lunch. I was late, as usual, and even though I’d been there many times, I didn’t remember how to get to the spot. Like Sarah, the scatterbrained, dyslexic angel I write about, I have no sense of direction, and it makes no difference if I’ve been to a location before. The nice patrolman pulled me over. After the identities, he asked why I was in a hurry. After I told him, he said the place was up the road and if I traveled the speed limit, I’d get there in ten minutes. He was super nice. I drove slowly away with a warning instead of a ticket. Sometimes, I’m totally innocent. Like the day I went to court.I was called for jury duty and left early enough to wander about Houston’s freeways. The bizarre experience that followed was my red car’s fault, not mine.I arrived at the court annex, parked, gathered my purse and grasped the door handle to get out. Oops! No way!The lever was broken. I was trapped! I decided to crawl over the console to exit on the passenger side. Oh, my goodness! People were walking around and would see me.Should I go feet first? Bottom first? Those small car spaces aren’t made for tall people. I finally made it out. Plenty of people inside the courthouse were on their way to jail. I didn’t tell them how I escaped confinement. It’s my secret. In my humorous, Sarah books, some of the episodes are based on my life experiences. 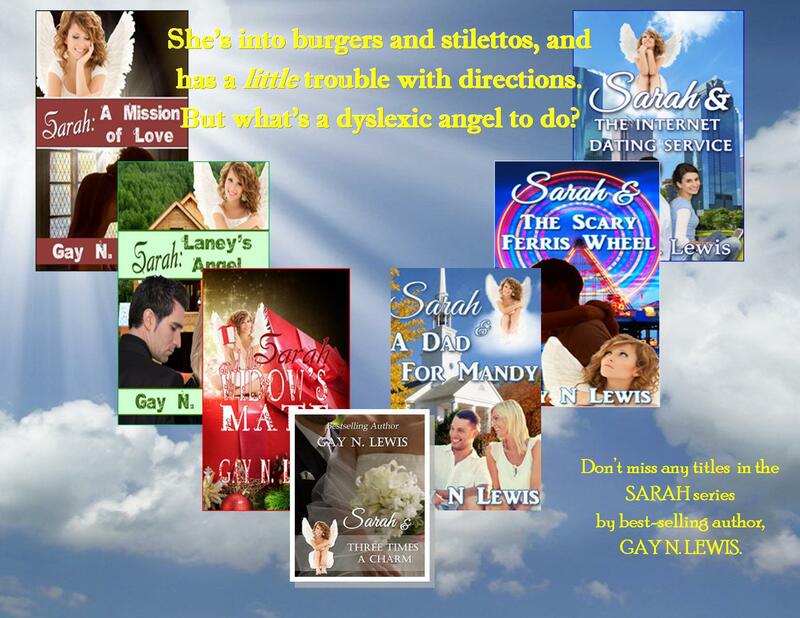 Sarah is a dyslexic angel who comes to earth to help humans find romance. In Sarah: Laney’s Angel, Sarah, masquerading as a bride, is dressed in a wedding dress and veil. She doesn’t know how to drive, but she’s in a car. She accidentally thrusts the thing into reverse and totals the hero’s car as he sits behind her in his expensive sports vehicle. She tells him she was on the way to her wedding. Being the kind, Texas guy that he is, he offers to take her to the church. As they ride along, he discovers Sarah doesn’t know where the church is. Oh my. I enjoyed writing that scene. Stuff happens in Sarah’s adventures. Count on it. A new Sarah book comes out in July 2018. Sarah must help a young woman lose weight and gain confidence. She also must find a mate for the lady. Just wait till you read her adventures in the gym. 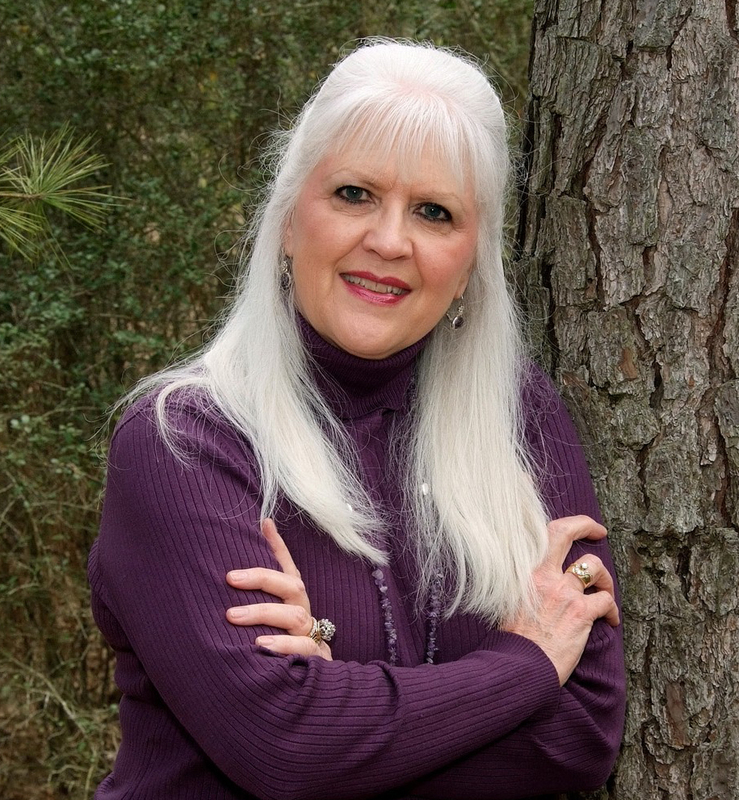 All the Sarah books are set in Texas.My Sarah Series has ten books, but two books have three stories in them. Novellas were combined into a print selection. In Sarah and Three Times a Charm, or Sarah and a Family Affair, you receive several stories. I’ve written two serious books. The latest is Mattie’s Choice. It’s historical, Christian, women’s fiction, loosely based on family experiences, and helps the reader consider attitudes and social mores. My mother-in-law was married to a demanding man who refused to let her see her family. Research shows that controlling men do this, even today. In 1925, women had few choices, but more are available today. Women can choose not to live in an abusive household. There’s humor in the book, but there’s also a lot about faith, or the lack of it.Clue into Kindness is a contemporary novella with a similar theme.